The fact that the victims were sly-groggers – traders in illegal alcohol – seemed to be a motive for the murders. The Coroner concluded that the murder weapon was likely a .45-calibre machine gun. On New Year’s Eve, police arrested Jorgensen and Gillies, career criminals who had spent time in prison in New Zealand and Australia. 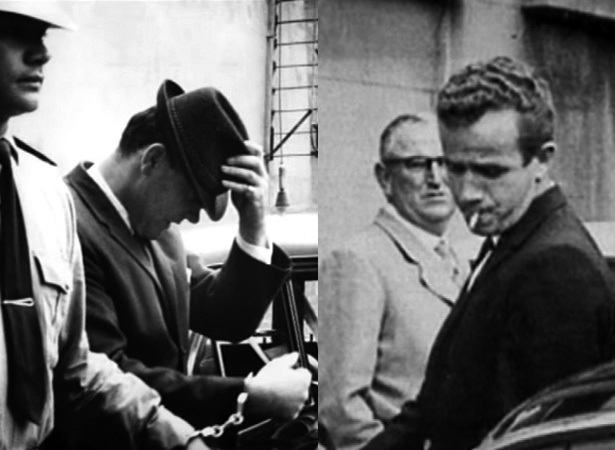 Their trial began on 24 February 1964. Although both denied the charges, Gillies did admit in court to having purchased a machine gun. They were found guilty and sentenced to life imprisonment. Jorgensen came to public attention again in 1984, following his release from prison, when his abandoned car was found at the bottom of a cliff near Kaikōura. Despite rumours he faked his own death and fled to Australia, Jorgensen was declared dead in 1998. We have 5 biographies, 11 articles, related to Bassett Road machine-gun murders.